Yesterday was a very lazy day for me, recovering from an epic, hot marathon, the girls promised me that it would be an honorary Mother's day. The day started well with toast and coffee made by the girls, then they did the washing and sorted out the ironing. In the afternoon we did some Easter baking together inspired by some of the range of kids TV programmes available on Now TV with a NOW TV Kids Pass. We discovered NOW TV at Christmas thanks to an offer on a pizza (!) and we've watched a movie or show on it almost every night since! The girls have just started to explore what's available in the kids content too; there are some big names to look out for because you can watch channels which aren't available on Freeview including Cartoonito, Nick Jr. Nickelodeon and Cartoon Network. 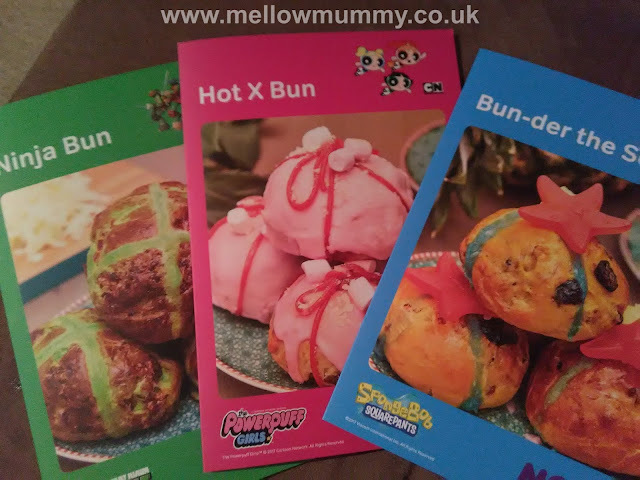 NOW TV sent us some Easter recipe cards with instructions on how to get the girls cooking their own Tot Cross Buns, each one inspired by a different NOW TV show. The girls chose to make the Mystery Bun. A fairly normal looking Hot Cross Bun but with a mystery on the inside, inspired by Be Cool Scooby Doo. Hot Cross Buns are notoriously hard to bake well but Lara is always up for a challenge. We were following a recipe by Candice of Bake-Off fame so Lara took it very seriously (she is a BIG fan). Our basic dough recipe was supplemented with chocolate chips and fudge chips and then topped off with an almond chocolate biscuit in the shape of a Scooby Snack, all dipped in a butterscotch caramel. 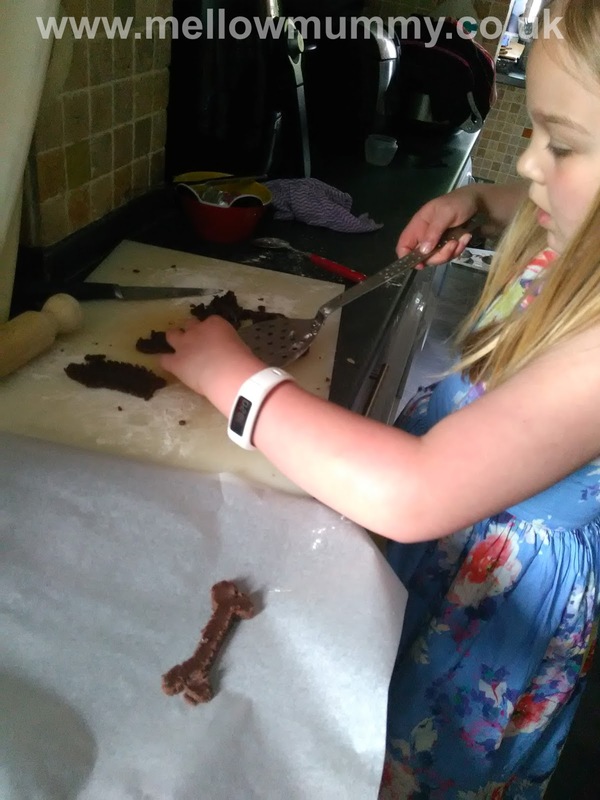 Lara had great fun making the bone biscuits - anything with chocolate in gets her interested. We didn't have a bone-shaped biscuit cutter so she did these ones by hand. I thought the biscuits added an interesting touch to an Easter classic and especially yummy when drizzled in butterscotch sauce.